We love the sleek design and color selections of these headphones. They are designed with little listeners in mind with the limited volume feature. No more fighting over one tablet! 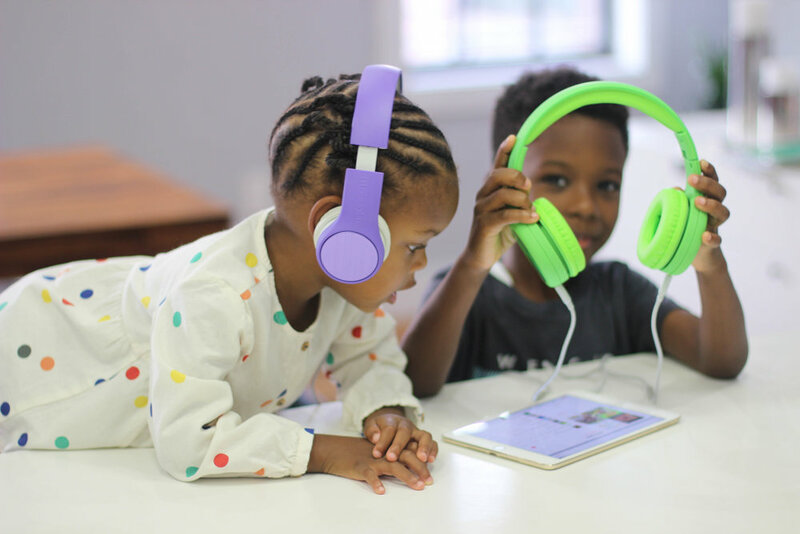 The coolest part about these headphones, is that they can connect with each other so both kids can listen to the same device at the same time. The kids love to use these headphones while they play games, watch shows and video chat with their cousins. So far we’ve used them at home and on the road and I never see them adjusting the headphones or see them falling down. After you adjust to the desired size, they stay in place and work great. When traveling, every space counts. These headphones fold up nice and small and has a little carrying pouch to protect them from getting banged up in your bag. This post is sponsored by Little Gadgets, but all thoughts are my own.